In a magnificent Moonlight Grey this two slice toaster comes with an out of this world twist. With fast toasting technology and a fascinating appearance, this toaster is ideal for those peckish mornings when you need a tasty slice of toast- just adjust your browning control for the perfect crispness. With an enchantingly exquisite appearance we know it’s hard not to wonder- how could this get any better? But it can! 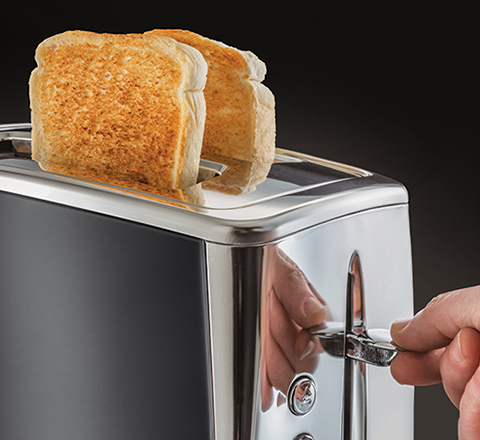 The Luna 2 Slice Grey Toaster has been designed with variety in mind; from bloomers to cobs and even homemade breads, you now have the freedom to toast whatever you fancy, and there’s also a lift and look feature so you can take a sneak peak at your breakfast’s progress. 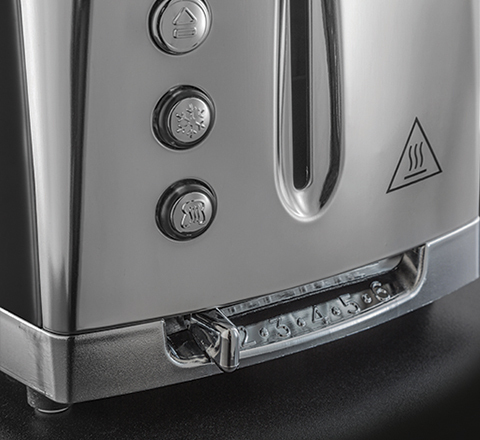 Not only does the Luna Toaster offer a handy high lift feature, but the ‘lift and look’ technology means you can check progress without cancelling the cycle. A truly smart solution.